This photo was taken on Tuesday, February 12, 2018. 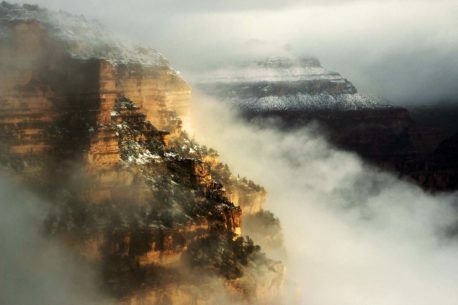 It was shot from the South Rim of the Grand Canyon on a morning after two inches of snow fell in the canyon. There was only a small window of opportunity to capture the picture as a storm was rolling into the area with fog and snow.